Today, I attended an event to help raise awareness of rural crime and ways to prevent it. 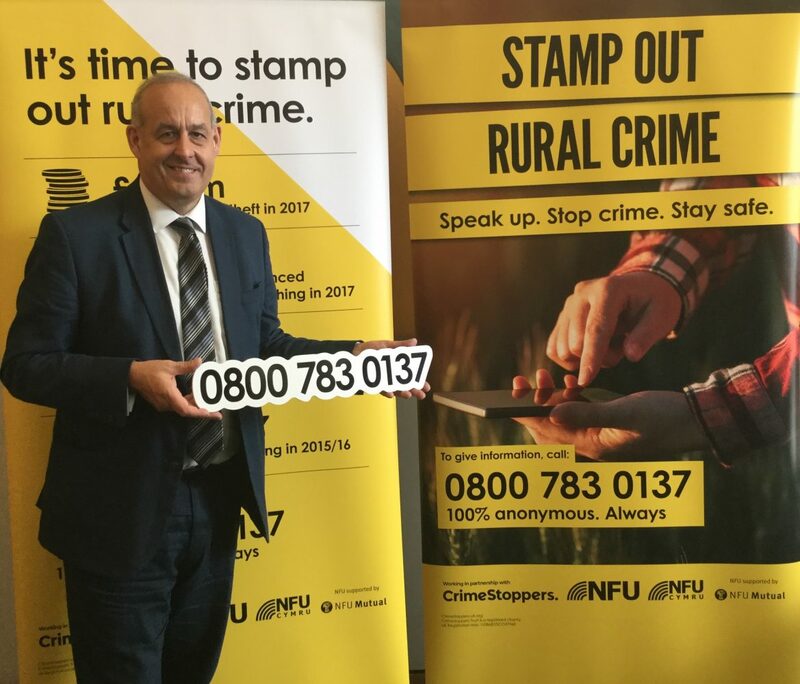 The event was jointly hosted by the All-Party Parliamentary Group for Rural Crime, the National Farmers Union and CrimeStoppers and was the formal launch of a new service for farmers, rural businesses and the public could contact to anonymously report rural crimes. This service will provide a dedicated number, with call handlers specifically trained in rural crime, for farmers, rural businesses and the general public to anonymously report rural crime. Yesterday, I asked the Department for Environment, Food and Rural Affairs about their policy on badger culls in England and its knock on effect for Wales.